Even though Congress passed legislation to make changes to the nation’s disaster response system after Hurricanes Sandy and Katrina, reforms still need to be made at the Federal Emergency Management Agency (FEMA). For example, communities require assistance in preventing flooding after wildland fires. FEMA’s Fire Management Assistance Grant (FMAG) program helps communities control and extinguish fires. However, these funds only cover fire suppression and not post-wildland fire mitigation. States and localities must pay to install erosion and flood barriers, re-seed burned ground, and re-plant trees. In addition, Congress has raised concerns about the escalating costs of disasters. Representatives Lou Barletta (R-PA) and André Carson (D-IN) introduced the FEMA Disaster Assistance Reform Act (H.R. 1471). This legislation would reauthorize FEMA for three years; establish liability protections for Urban Search and Rescue (US&R) members and provide benefits in the case of line-of-duty deaths or disabilities; and commission a comprehensive study of disaster costs and losses. This legislation would allow FMAG recipients to receive up to 15% of the FMAG amount for post-wildland fire mitigation projects, such as flood prevention and land re-seeding. The IAFC endorsed for H.R. 1471. If your community has suffered from floods or landslides after a wildland fire, discuss the costs of the fire, flooding and landslides to your community. Also, explain the steps that your community could take to mitigate the risks of future fires, floods, and landslides. If your department is affiliated with a national US&R team, explain its importance to both your community and the nation. The FEMA State and Local Programs account includes terrorism preparedness grant programs, such as the Urban Areas Security Initiative (UASI) and the State Homeland Security Grant Program. These funds are used to staff intelligence fusion centers, build and manage interoperable communications systems, develop systems to treat mass casualties resulting from terrorist attacks, develop mutual aid systems, and other initiatives to prepare states and localities prepare for acts of terrorism. Many of the major metropolitan areas consider themselves to be sanctuary cities. The IAFC is concerned that these major metropolitan areas would not be able to adequately protect their citizens and prepare for acts of terrorism without funding from the SHSGP and UASI programs. Due to unrelated issues, the House and Senate will not be able to consider the FY 2016 DHS Appropriations bills (H.R. 3128/ S. 1619). This legislation will end up being included in any larger legislation to fund the federal government in FY 2016. Ask your members of Congress to oppose inclusion of the Yoder amendment in any legislation funding DHS in FY 2016. If you receive SHSGP or UASI funding and are from a sanctuary state or city, explain how you use this federal grant funding to protect your community. Amends the Air Transportation Safety and System Stabilization Act to make individuals (or relatives of deceased individuals) who were injured or killed in the rescue and recovery efforts after the aircraft crashes of September 11, 2001, eligible for compensation under the September 11th Victim Compensation Fund of 2001. Allows individuals to file claims for compensation under the September 11th Victim Compensation Fund of 2001 anytime after regulations are updated based on the James Zadroga 9/11 Health and Compensation Act of 2010. Removes the cap on payments under the September 11th Victim Compensation Fund of 2001. Adds the September 11th Victim Compensation Fund and World Trade Center Health Program Fund to the list of accounts that are not subject to budget sequestration. On Friday, December 18th, the House and Senate approved H.R. 2029, the Fiscal Year 2016 Consolidated Appropriations Act. The $1.15 trillion spending bill will fund the federal government through the end of Fiscal Year 2016. Congress created the U.S. Fire Administration (USFA) and its educational arm, the National Fire Academy (NFA), in 1974, in response to the landmark document, America Burning: The Report of the National Commission on Fire Prevention and Control. The mission of the USFA is to reduce life and economic losses due to fire and related emergencies through leadership, advocacy, coordination and support. The USFA serves in partnership with fire protection and emergency services communities. The NFA is one of several divisions of the USFA, and is responsible for delivering training courses to fire service personnel. The USFA estimates that it has trained more than 1.4 million students since 1975. As a result, firefighters have saved countless lives and prevented a tremendous amount of property loss. America’s firefighters use this critical training to respond to all hazards, including events caused by terrorists, house fires, car accidents, chemical spills and natural disasters. America’s fire and emergency services comprise one of the critical infrastructure sectors as defined by DHS and is in the unique position of protecting the other sectors. Many fire service leaders have been concerned about the level of funding that the USFA and the NFA receive, and if they will be able to fulfill their missions. Because America’s fire service is critically important to national preparedness and response, the fire service needs to have a strong voice within the U.S. Department of Homeland Security. Also, fire programs need a consistent and high level of funding. Because America’s fire service is critically important to national preparedness and response, the fire service needs to have a strong voice within DHS. Also, fire programs need a consistent and high level of funding. Explain the importance of receiving training through the NFA. If you have taken NFA courses on campus or online, explain what you learned and how it has helped you to do your job better. Also, discuss why your community needs up-to-date information from the National Fire Incident Reporting System. The Problem: Many fire departments across the country cannot afford the equipment, training, and staffing necessary to meet a baseline level of readiness. This situation puts firefighters and their communities in danger. The Solution: The FIRE and SAFER grant programs augment local funding and provide much needed assistance to meet these needs. To date, the programs are working well to improve preparedness and response capabilities, but much more needs to be done. Congress authorized $750 million for each program as part of the reauthorization bill that passed in 2012. For Fiscal Year (FY) 2015, Congress appropriated $340 million each for the FIRE and SAFER grant programs, and extended the waivers to the SAFER grant program’s requirements for an extra year to allow for the retention and re-hiring of firefighters. For FY 2016, the Obama Administration requested $335 million for each program. If you have received a grant under the FIRE or SAFER grant programs, explain how you used the money and how it has improved your ability to serve your community. If you have not received a grant under these programs, explain how you could use that grant money. Give a specific example of how a FIRE or SAFER grant has helped or could help you serve your community. Ask your representatives and senators to support the FY 2011 level of $405 million each for the FIRE and SAFER grant programs in FY 2016. Nationally, the number of volunteer firefighters has decreased from 880,000 in 1984 to 786,150 in 2013, according to the NFPA’s U.S. Fire Department Profile. There are several reasons for this trend, including increased demands from fire departments on their volunteers’ time due to growing emergency call volumes, the need for ongoing training, and the struggle to balance the career and family obligations of today’s two-income families. Another reason for the decline in firefighter and EMS volunteers is the result of changes in federal taxation of state and local comprehensive benefits and incentives programs. In 2002, the Internal Revenue Service began to count such local volunteer incentives as taxable income. As a result, volunteer personnel in many states must now pay federal tax on incentives, such as local property tax rebates, length of service award programs (LOSAPs), local tax credits, personal vehicle gas allowances, certain uniform allowances, discounted municipal water, and even annual appreciation dinners. 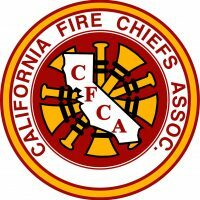 The IAFC believes taxation of such incentives hinders the ability of localities to recruit and retain volunteer emergency responders. P.L. 110-142, passed in 2007, included the Volunteer Responder Incentive Protection Act (VRIPA), which specifically excluded from taxable income any property tax benefit and up to $360 per year of all other payments from a state or local unit of government to volunteer firefighters and EMS personnel through the 2010 tax year. The VRIPA expired at the end of the 2010 tax year. Senators Chuck Schumer (D-NY) and Susan Collins (R-ME) introduced the Volunteer Responder Incentive Protection Act (VRIPA, S. 609). The legislation would amend the Internal Revenue Code to reinstate and increase the exclusion for benefits provided to volunteer firefighters and emergency medical responders by raising the base from $360 to $600 annually and extending coverage through the 2017 tax year. Representative John Larson (D-CT) introduced identical legislation in the House of Representatives (H.R. 2752). Both Senate and House Republican leadership have announced their intention to focus on tax reform in the 114th Congress. The Senate has organized several tax working groups which will examine specific tax issues within their areas of jurisdiction. The House used a similar tax reform approach in the 113th Congress to develop its tax reform proposal. The IAFC believes VRIPRA should be evaluated by the Senate’s Individual Income Tax Working Group and included in any tax reform proposal advanced in the House or Senate. Explain that taxing such incentives makes them ineffective, and may hinder recruitment and retention of volunteer emergency responders. Further, point out that the number of volunteer firefighters nationwide has decreased from 880,000 in 1984 to 786,150 in 2013 according to the NFPA’s U.S. Fire Department Profile. State and local incentives are important when recruiting and retaining volunteers who must struggle to balance their careers and the obligations of today’s two-income families. The national energy boom has focused attention on the importance of safely transporting crude oil and other hazardous materials across the country. According to the U.S. Department of Transportation’s Pipeline and Hazardous Materials Safety Administration (PHMSA), the overall volume of crude oil moving by rail has quadrupled in less than a decade. Recent incidents in the transport of crude oil have demonstrated the need for local fire and emergency services to be prepared for hazmat incidents. PHMSA administers a Hazardous Materials Emergency Preparedness (HMEP) grant program, which allocates funding to the states for hazmat training for first responders. The IAFC is urging Congress to authorize the use of HMEP funds to develop web-based training to supplement in-person training for hazmat response. This training would be designed to assist volunteer fire departments and other departments that cannot afford to send their personnel to in-person training. Any HMEP-funded training would have to be consistent with the Operations Level of NFPA 472 and OSHA 1910.120. In its version of the FY 2016 Transportation, Housing and Urban Development, and Related Agencies (THUD) Appropriations Act, the Senate proposes to continue funding the ALERT grants, which promote the development of a web-based hazmat response training program. Encourage your representatives and senators to support the IAFC position to reform the HMEP program to expand training beyond the classroom and to provide blended training that would include web-based training as a supplement to in-person training. Discuss hazmat shipments that come through your area and the need for your department to be prepared to respond to any potential incidents.